Wellbeing is intimately linked to connection – to other people, but also to place, and the living systems that inhabit it. Relational design creates those connections. Would you like to spend a year developing a project or business idea that reconnects city and country in a regional context? With a focus on wellness, adventure, tourism, and education? The new Masters by Research in Relational Design (#api_MRRD) is hosted by Arloesi Pontio Innovation (API), based in Pontio, at Bangor University. I’m teaching on the course as its senior advisor. It launches in September. Wellbeing is intimately linked to attachment – not only to other people, but also to place, and living systems. Relational design creates those connections. Based on creative ways to connect the “what is?” with the “what if?”, you will learn how to combine a region’s social, tech and ecological assets in ways that create new livelihoods and sustainable enterprises. The #api_MRRD Masters is not theoretical. It is designed to help you make a positive step-change in a live project. Your research will be therefore be delivered in the form of a Business Proposal, an Exhibition, and a public Presentation to stakeholders and peers. The Lab’s experts will help you develop and tell your story effectively. North Wales is one of Europe’s most resilient regions. It enjoys spectacular natural assets, unspoiled land, clean air and biodiversity, abundant water, sea, low population density – and ancient but still thriving cultural roots. A thriving ecosystem of small companies range from world-leading outdoor, extreme sports and adventure tourism, to biorefining, grain and fiber networks, maker networks, boat builders – and the 500-strong North Wales Tech Community. Your #api_MRRD Masters could be about making connections in a wide variety of adventure and sport activities: climbing, running, diving, kayaking, camping, mountain biking, tree climbing, zipwiring, and more. Or your focus could be tourism. Active travel, biodiversity learning journeys, or soil-to-table relationships with the land, have huge potential in Wales. Also promising are social farming, Wwoofing, and Fibershed ‘makations’. River, forest and ecosystem restoration camps are growing in popularity, too. There is also scope for theme-based learning journeys in North Wales – from citizen science, and artist residencies, to maker centres, land-based learning, and coding in the countryside. Other inspirations are the Fermentation Routes being developed in Latvia, Slovenia’s Honey Routes, or the Deep Time Walk app at Schumacher College in Devon. Relational design is not just about start-ups; it’s also about connecting with anchor institutions. Heritage buildings can be restored as Coworking/Coliving (CoWoLi) sites. Chapels, pubs, libraries, regional museums, hostels, post offices, local shops – all be enhanced as rural hubs for visitor activities and create new livelihoods for local citizens; AirBNB Experiences is a good example. 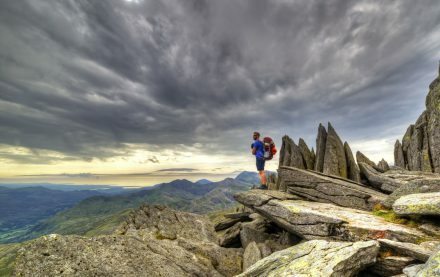 Relational design in Bangor is supported the expertise to be found in Bangor University: sport science, extreme environments, health sciences, medical and neuroscience research, environmental sciences, and soil science. The #api_MRRD course is based in a new arts and performance centre, Pontio, with facilities and expertise to match. The Masters is connected internationally with networks developing new business and governance models such as Cooperation Platforms. Is this Masters for you? The Masters in Relational Design course is for those who wish to: develop an existing project idea – perhaps in collaboration with an industry, government or anchor institution from your own territory; find employment in the public or private sectors in one of the sectors listed above; start a new enterprise; or work in regional development or innovation policy. My input to the new Pontio masters also builds on lessons learned in our xskool workshops over recent years. In diverse contexts, we asked the same question: If the health of people, and the places where we live, are connected, what kinds of enterprise can help city and rural thrive together?